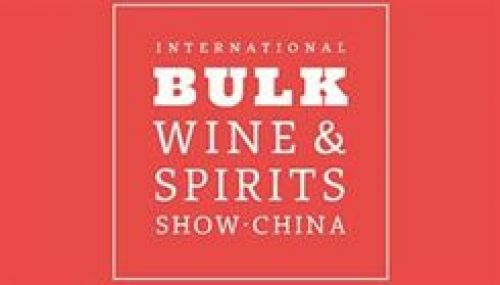 In November 2019, Beverage Trade Network will host the first-ever International Bulk Wine & Spirits Show (IBWSS) in Shanghai, China. The two-day event (November 5-6, 2019) will include an exhibition trade show floor for buyers and sellers to meet in a central marketplace, as well as a series of speaker presentations, panel discussions, and Q&A sessions designed to offer practical, actionable advice about the Chinese bulk wine and spirits industry. IBWSS China is one of the leading international wine and spirits events in Shanghai, China. The show will gather the leading suppliers of bulk wine, bulk spirits, private label, contract distilling, contract brewing, contract winemaking from all over the place in Shanghai, China. Wineries, breweries, distilleries, importers, distributors, retailers, national and regional chains, negociants, brokerage firms and press members. WHY EXHIBIT AT IBWSS China? International Bulk Wine & Spirits Show in Shanghai, China aims to give the bulk trade and private label business a truly dynamic trading platform where buyers can confidently conduct business with the world’s most reputable suppliers. The show will offer supermarkets, retailers, restaurants, wineries, distilleries and other buyers a platform to source bulk wine and spirits and find private label manufacturers. Who should attend IBWSS 2019 in China? The event is open for global bulk wine producers, negociants, brokers, contract bottlers, importers and distributors looking to enter the fast-growing Chinese wine market. By becoming an exhibitor at this first event of its kind in China, you will be able to meet directly with Chinese buyers looking to expand imports of foreign wine. At the same time, you will be able to explore the many new offerings from the Chinese wine market, including vineyards that specialize in Cabernet Sauvignon, Merlot and Cabernet Gernischt for the global bulk wine market. Super early bird IBWSS China exhibitor registration is now open. Pre-register your spot before August 31, 2018, to get the best pricing.